Antenna Tuning Units (ATU) are used as a coupling between the transmitter and antenna. 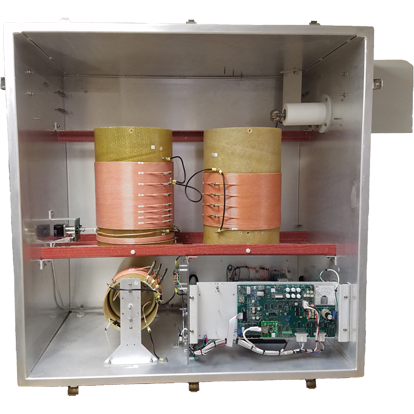 These are required to achieve and maintain proper tuning for your antenna, and are used on all NDB and DGPS systems. All antenna tuning units include automatic phase matching (tuning) for the antenna system. Some models also include automatic resistance matching, to maintain an ideal 50 Ohm match through any environmental change the antenna may experience. The ATU must be installed near the antenna to ensure a short connection length. Due to this, all of our ATUs are either IP66 rated or designed to meet this standard to enable outdoor installation. Each NDB or DGPS system requires a transmitter, antenna, and an antenna tuning unit (coupler) for proper operation. The PC1000 Series 3 ATUs are the standard ATU used with most low power systems. These can be used up to 200 Watts continuous power, making them ideal for an SE125 NDB, both on land and offshore. Series 3 ATUs maintain an automatic tune point with system phase of the antenna, and a fixed tap resistance match. The PC1000 Series 4 ATUs achieve additional functions over the Series 3, with the main feature being an automatic resistance matching system. 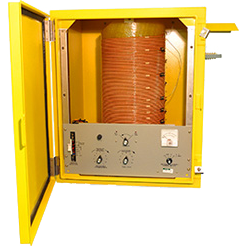 Commonly used in coastal or inland areas where ground resistance may change regularly, these ATUs go above and beyond to maintain a 50 Ohm match through all environmental conditions. 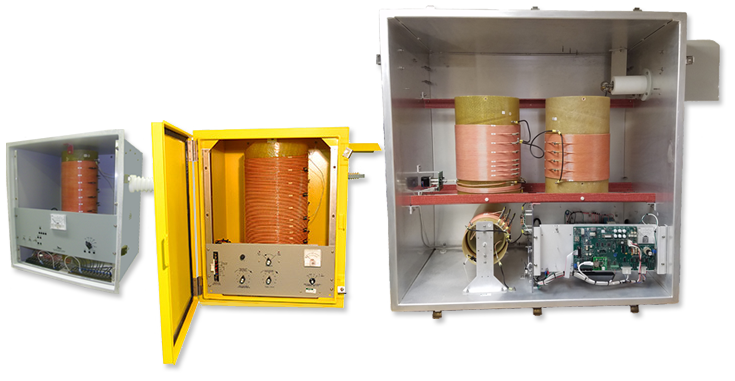 These units can be used up to 200 Watts continuous, and are ideal for SC200 DGPS transmitters or SE125 NDBs installed near the coast. The PC3000 ATU includes automatic phase tuning and a fixed tap resistance matching system. 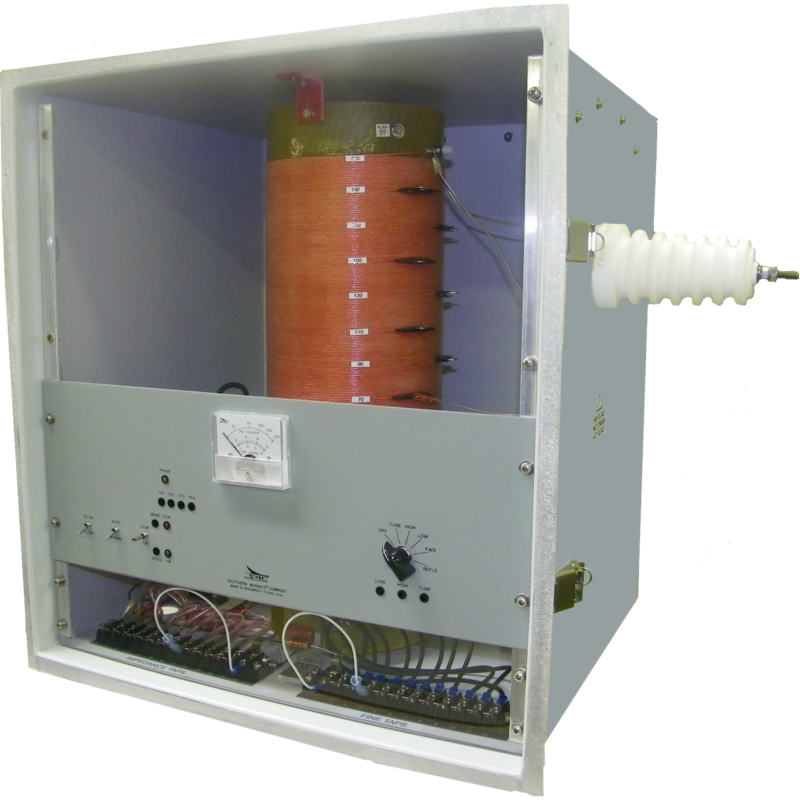 These ATUs are designed to be used up to 600 Watts continuous power, and are typically used with an SE250 transmitter. The PV1000 ATU combines multiple stepper motors for automatic phase tuning and resistance matching networks, to achieve a near perfect tune even at high power levels. Capable of 1000 Watts continuous power, this ATU is ideal for an SE500 NDB or SC1000 DGPS transmitter. Further serial communication with the ATU allows for remote control for safe setup at high RF power levels, and automatic level control to maintain a constant field strength at your desired transmit range. The PV3000 ATU combines multiple stepper motors for automatic phase tuning and resistance matching networks, to achieve a near perfect tune even at high power levels. Capable of 3000 Watts continuous power, this ATU is ideal for an SE1000 NDB. Further serial communication with the ATU allows for remote control for safe setup at high RF power levels, and automatic level control to maintain a constant field strength at your desired transmit range. All ATUs feature an automatic tuning mechanism, used to maintain a near zero phase of the output system. This is the primary function of the ATU, and is used to prevent unwanted shutdowns of the transmitter by limiting the reflected power levels. In order to match the low resistance antenna systems to the 50 Ohm transmitter output, each ATU includes a method of transforming the impedance level. This method varies from a fixed tap position, to our patented automatic continuously variable coils used in the higher power systems. To allow for a technician to perform the tuning process alone, our ATUs include a remote TX On/Off control switch, which is used to turn the RF output off while making safe tuning adjustments. Without some type of remote control, this process would be prolonged and tedious. Each ATU includes an adjustable spark gap used to help prevent unwanted high voltage spikes from being able to reach the transmitter, and help protect the equipment. 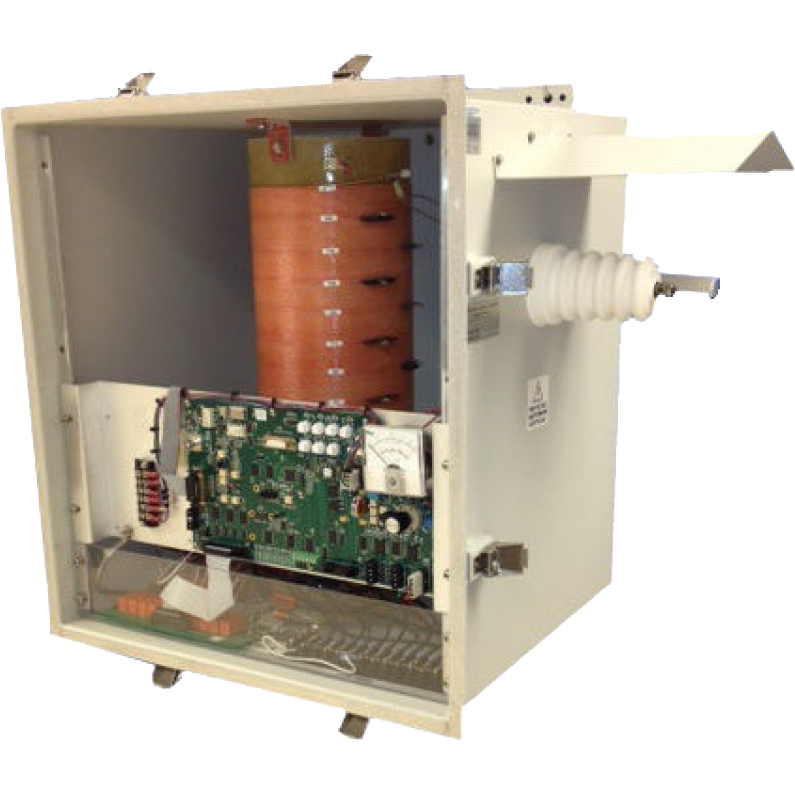 Further protection is also present in the form of DC blocking capacitors or isolation transformers. The RF output from the transmitter is a 50 Ohm connection point, and will produce best results when connected to a perfect 50 Ohm load. This means the load should be purely resistance, with no inductance or capacitance. Most ground systems for NDB and DGPS installations are between 2-39 Ohms, typically around 10 Ohms for a normal installation. Additionally, due to the low frequency of the transmitters, the antennas used are electrically short and develop high capacitance. With this in mind, the transmitter cannot be connected directly to the antenna. Instead, an Antenna Tuning Unit is placed between the two. The ATU has two functions: step up the resistance from roughly 10 Ohms to 50 Ohms, and add the right amount of series inductance to cancel out the antenna's capacitive reactance.